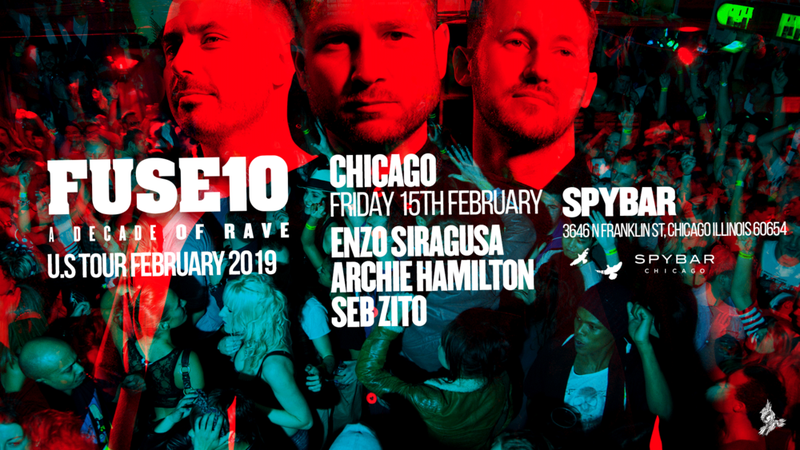 After an amazing first leg of outstanding shows in the UK, #FUSE10 comes to the US for the first time to celebrate A Decade of Rave. FUSE will kick off their 2019 international birthday tour hosting events in four major party cities New York, Miami, Chicago & Los Angeles. Label founder Enzo Siragusa will be joined by Archie Hamilton and Seb Zito across all four dates. In over 10 years, FUSE became one of London’s most prominent party brands and labels and are recognized and celebrated across the UK and Europe for delivering outstanding events wherever they choose the challenge. They have championed residencies in Ibiza at Sankeys, Space and Amnesia, alongside annual events at ADE, Off Week and Sonus Festival. As standard with all FUSE events, expect quality underground music and a high standard of sound.